Education: Universidad de Buenos Aires (LL.B. 1991). 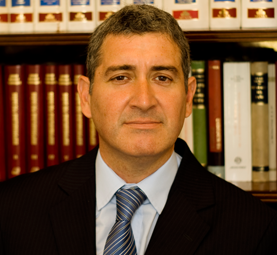 He worked as a junior associate at the law firm Estudio Matta y Trejo (1991-1993), as an associate in the firm Estudio Fernando Legón & Asociados (1994-1995), became a partner at the firm Estudio Fernández Moores & Asociados (1996-2000) and later he founded the firm Estudio Carregal & Ribas (2001-2011). He developed his career mainly in the field of commercial law, specializing in all kinds of modern forms of agreement (distribution, agency, transportation/shipment, franchising, tolling, supply, dealership, etc.) and in corporate law and bankruptcy issues. He has accumulated a vast experience in litigation, obtaining significant achievements in extremely complex and sophisticated conflicts, some of which reached the National Supreme Court of Justice with favorable results. During 2002-2003, with the collaboration of Dr. Fernando Carregal, he negotiated the conflictive sale of Sol Petróleo to ANCAP, and during 2009-2010 , also with Dr. Carregal, he assisted the disinvestment process of Credit Agricole Indosuez, in the series of deals concerning the jubilatory and pension funds, which had taken part during the '90. 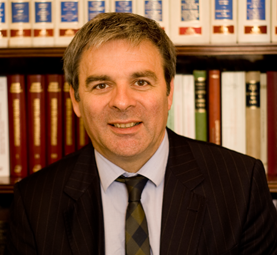 Since 2011 he runs the Firm facing the challenge of offering our clients a wider and more complete legal assistance. In the year 1984 he joined National Judicial Branch. 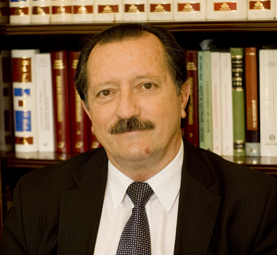 During 1992-2002 he worked as Clerk,) in the Federal Criminal and Correctional National Court Nº 2 of San Isidro. During 2000, he worked at the Bureau of Investigations of the Anticorruption Office. He currently teaches Criminal Law at Facultad de Derecho de la Universidad Católica Argentina. 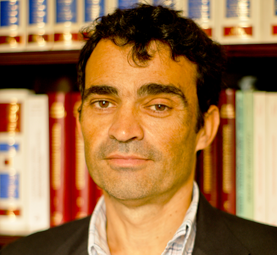 In 2002 he founded the firm Soarez Gache & Serra, dedicating himself to the attention of criminal issues, fundamentally related to crimes committed in the corporate field, such as tax evasion, money laundry and its administrative regulations. Education: Universidad de Buenos Aires Since 1994 Professor at Universidad de Buenos Aires. He has completed the following studies at that same university: Teaching Career (Conf. Res. 1457/94), Intensive Postgraduate Course in Constitutional Law, Procedural Constitutional Law and Human Rights, and Master in Philosophy of Law. He has achieved a vast experience in the field of public procurement and public contracts, as well as in litigation before the Administrative Jurisdiction, having always worked autonomously. Education: Universidad de Buenos Aires Accountant 1983. He started working as an associate auditor at the firm Cartoni, Del Giudice y Asociados until 1985 and as administrative manager at Idesa Ingeniería S.A. (representing Turbinas Caterpillar in Argentina) until 1991. He has taken part in special projects such as the economical evaluation of labor agreements for Siemens S.A., the economical/administrative coordination of O.A.S.' (Organization of American States) Project for Labor Relations in Mercosur Countries, and the Outsourcing and the Microenterprise Process in La Nación S.A.. Since 1991 he has been acting as head of the accounting firm Recursos de Administración Empresaria – Roberto A. Evangelista y Asociados, which serves as a regular consultant for over 70 companies, specializing in the application of tools such as Tax Planning, Economical and Financial Analysis, Administrative Outsourcing and Cost and Profitability Revisions, specially in the SMEs field. Education: Universidad de Buenos Aires Accountant 2000. 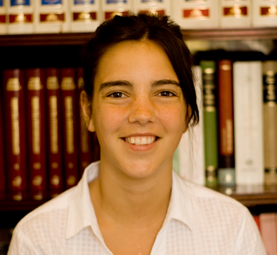 He specializes in tax planning and econocmic and financial advisory for mid-size corporations. He has been working in Estudio R.A. Evangelista y Asociados since 2001, and actually runs the firm along with Roberto A. Evangelista. Education: Universidad de Buenos Aires (LL.B. 2012). Education: Universidad de Buenos Aires (LL.B. 1990). He has achieved a postgraduate degree in Corporate Consultancy at Universidad del Museo Social Argentino. 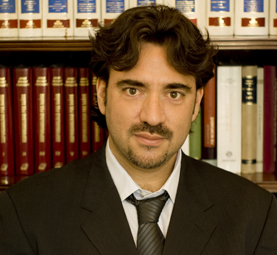 He worked as an associate lawyer at the prestigious firm Alegría, Buey Fernández, Fissore & Montemerlo for over a decade, and later cofounded the firm Estudio Carregal & Ribas (2001-2011). 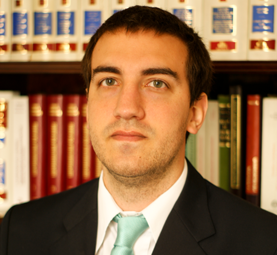 In 2011 he has entered as a partner in the firm Gagliardo, Laplace & Carregal. He has developed most of his professional practice in the field of Commercial Law, particularly in issues concerning Corporate Law, having written various articles and doctrinal comments on the subject. Education: Universidad de Buenos Aires(LL.B. 1995). He worked for over a decade at the multinational construction company Techint, were he assisted and managed large-scale projects, both national and international. He has a vast experience in public and private bidding, arbitrage and litigation, particularly in matters concerning construction field. He has also acted as a consultant for other companies in the construction business, as well as architects, real state developers, in all of the concerning legal aspects (contracts, risk management, business administration and claim handling).